As a coagulase negative Staphylococcus species, S. caprae is not considered as a clinically-significant member, unlike S. epidermidis. In this report, we describe a case of sepsis resulting from S. caprae infection. This relatively young woman was in generally good health and contracted S. caprae most probably during her treatment of an acute pulmonary embolism. The purpose of this report is to raise awareness of this otherwise innocuous staphylococcal species in clinical settings. Key Words: Staphyloccocus caprae, coagulase negative staphylococci, nosocomial, sepsis. Coagulase negative staphylococci are one of the most common nosocomial agents for causing infections in healthcare facilities [1Couto I, Pereira S, Miragaia M, Sanches IS, de Lencastre H. Identification of clinical staphylococcal isolates from humans by internal transcribed spacer PCR J Clin Microbiol 2001; 39: 3099-103., 2Ross TL, Fuss EP, Harrington SM, Cai M, Perl TM, Merz WG. Methicillin-resistant Staphylococcus caprae in a neonatal intensive care unit J Clin Microbiol 2005; 43: 363-7.]. Among the species, S. caprae has not been a concern in human clinical cases. It was first isolated in milk sample taken from healthy goats in 1983 [3Moroni P, Pisoni G, Antonini M, et al. Subclinical mastitis and antimicrobial susceptibility of Staphylococcus caprae and Staphylococcus epidermidis isolated from two Italian goat herds J Dairy Sci 2005; 88: 1694-704.]. Since then, this bacterium is considered a commensal organism in goats as it is most prevalent on their udder skins and in the mammary glands. Strains of S. caprae have been isolated from human cases; however, it was not always clear whether this organism was responsible for causing infections [4Shuttleworth R, Behme RJ, McNabb A, Colby WD. 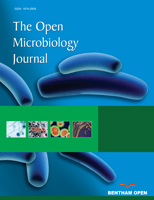 Human isolates of Staphylococcus caprae: association with bone and joint infection J Clin Microbiol 1997; 35: 2537-41., 5Vandenesch F, Eykyn SJ, Bes M, Meugnier H, Fleurette J, Etienne J. Identification and ribotypes of Staphylococcus caprae isolates isolated as human pathogens and from goat milk J Clin Microbiol 1995; 33: 888-92.]. This bacterium has been associated with bone and joint infections, bacteremia, recurring sepsis, urinary infections, endocarditis, meningitis, and cases of acute otitis externa [2Ross TL, Fuss EP, Harrington SM, Cai M, Perl TM, Merz WG. Methicillin-resistant Staphylococcus caprae in a neonatal intensive care unit J Clin Microbiol 2005; 43: 363-7., 4Shuttleworth R, Behme RJ, McNabb A, Colby WD. Human isolates of Staphylococcus caprae: association with bone and joint infection J Clin Microbiol 1997; 35: 2537-41.-9Benedetti P, Pellizzer G, Furlan F, Nicolin R, Rassu M, Setfon A. Staphylococcus caprae meningitis following intraspinal device infection J Med Microbiol 2008; 57: 904-6.]. Most of these infections were contracted in the hospitals, and a few community-acquired have also been reported. A recent paper reported S. caprae was responsible for causing six out of eighteen episodes of coagulase negative staphylococcal bacteremia in the neonatal intensive care unit of a medical institution [2Ross TL, Fuss EP, Harrington SM, Cai M, Perl TM, Merz WG. Methicillin-resistant Staphylococcus caprae in a neonatal intensive care unit J Clin Microbiol 2005; 43: 363-7.]. A 30-year old African American woman presented to the emergency department complaining of shortness of breath on exertion and chest pain with deep inspiration. Otherwise, the patient stated she was well. There was no indication of recent infections. Her physical examination did not yield any abnormalities or concerns. A VQ scan indicated high probability for pulmonary emboli in her right lobe. The chest x ray showed possible development of small bilateral pleural effusions. Multiple nodular opacities scattered throughout the lungs were also noted and they seemed to be more prominent than before. The CT scan of the abdomen showed moderate alveolar consolidation in the right lower lobe which was consistent with a pulmonary infarct or pneumonia. Her EKG and 2D echocardiograms were normal and there was no indication of endocarditis. The patient was admitted for treatment of an acute pulmonary embolism and a Heparin drip, by protocol, was initiated. While the management of her pulmonary embolism was proceeding well, the patient developed high fevers during her hospital stay associated with tachycardia. Her blood cultures were positive (four out of four bottles), yielded Gram positive cocci in pairs and clusters indicative of Staphylococcus species. Subsequent identification by Vitek 2 GP card (bioMérieux, MO) indicated the bacterium was S. caprae. Antibiotic susceptibility results of this isolate are presented below. The patient was initially started on vancomycin. When S. aureus was ruled out, her antibiotics were changed to Kefzol 2 gm IV every 8 hours. The patient’s fever resolved and she showed significant clinical improvement. Incidentally, a urinalysis indicated the presence of E. coli. Antibiotic susceptibility testing indicated it was sensitive to all 17 antimicrobial agents in the panel (Vitek E. coli panel). Three days of Ciprofloxacin was administered to treat the urinary tract infection. Echocardiogram did not reveal any evidence of endocarditis, and it is unclear what caused the infection. There was no indication that the patient recently visited a farm or had contact with goats, the likely sources to acquire this bacterium. Other risk factors reported to be associated with S. caprae infection such as transplants, internal fixation for orthopedic prosthesis, or foreign subject implants [4Shuttleworth R, Behme RJ, McNabb A, Colby WD. Human isolates of Staphylococcus caprae: association with bone and joint infection J Clin Microbiol 1997; 35: 2537-41., 5Vandenesch F, Eykyn SJ, Bes M, Meugnier H, Fleurette J, Etienne J. Identification and ribotypes of Staphylococcus caprae isolates isolated as human pathogens and from goat milk J Clin Microbiol 1995; 33: 888-92., 7Blanc V, Picaud J, Legros E, et al. Staphylococcus caprae infection after total hip replacement: a case and review Pathol Biol 1999; 47: 409-13., 9Benedetti P, Pellizzer G, Furlan F, Nicolin R, Rassu M, Setfon A. Staphylococcus caprae meningitis following intraspinal device infection J Med Microbiol 2008; 57: 904-6.] were not in the patient’s medical history. It is conceivable that the patient contracted S. caprae during her hospital stay, as this bacterium has been implicated in several nosocomial infections [1Couto I, Pereira S, Miragaia M, Sanches IS, de Lencastre H. Identification of clinical staphylococcal isolates from humans by internal transcribed spacer PCR J Clin Microbiol 2001; 39: 3099-103., 5Vandenesch F, Eykyn SJ, Bes M, Meugnier H, Fleurette J, Etienne J. Identification and ribotypes of Staphylococcus caprae isolates isolated as human pathogens and from goat milk J Clin Microbiol 1995; 33: 888-92.]. S. caprae had been misidentified in the past [2Ross TL, Fuss EP, Harrington SM, Cai M, Perl TM, Merz WG. Methicillin-resistant Staphylococcus caprae in a neonatal intensive care unit J Clin Microbiol 2005; 43: 363-7., 6Kanda K, Suzuki E, Hiramatsu K, et al. Identification of a methicillin-resistant strain of Staphylococcus caprae from a human clinical specimen Antimicrob Agent Chemother 1991; 35: 174-6., 7Blanc V, Picaud J, Legros E, et al. Staphylococcus caprae infection after total hip replacement: a case and review Pathol Biol 1999; 47: 409-13., 10Kawamura Y, Hou X, Sultana F, et al. Distribution of Staphylococcus species among human clinical specimens and emended description of Staphylococcus caprae J Clin Microbiol 1998; 36: 2038-42. ], which suggest there are probably more cases associated with this bacterium than previously reported. In this case report, the identity of S. caprae was established by the current Vitek 2 GP system which allows more reliable identification of the caprae species than previous versions [personal communication with bioMérieux]. Additionally, this isolate produced acid from mannitol and was urease positive, two important biochemical traits recommended for differentiating this species from other coagulase negative staphylococcal members [10Kawamura Y, Hou X, Sultana F, et al. Distribution of Staphylococcus species among human clinical specimens and emended description of Staphylococcus caprae J Clin Microbiol 1998; 36: 2038-42.]. In conclusion, clinicians should be cognizant of infections caused by S. caprae, particularly in hospital settings and healthcare facilities. Although this species has been regarded as innocuous in the past, it should not be dismissed readily especially when isolated from the elderly and immunocompromised patients. Some S. caprae strains have acquired methicillin resistance, and their ability to persist in the environment for a long time (i.e., 28 months or more) has been reported [2Ross TL, Fuss EP, Harrington SM, Cai M, Perl TM, Merz WG. Methicillin-resistant Staphylococcus caprae in a neonatal intensive care unit J Clin Microbiol 2005; 43: 363-7., 6Kanda K, Suzuki E, Hiramatsu K, et al. Identification of a methicillin-resistant strain of Staphylococcus caprae from a human clinical specimen Antimicrob Agent Chemother 1991; 35: 174-6.]. Furthermore, slime production and biofilm formation are traits of S. caprae and they may play a role in conferring virulence to this species [11Allignet J, Aubert S, Dyke KG, El Solh N. Staphylococcus caprae strains carry determinants known to be involved in pathogenicity: a gene encoding an autolysin-binding fibronectin and the ica operon involved in biofilm formation Infect Immunol 2001; 69: 712-8., 12Arciola CR, Campoccia D, An YH, et al. Prevalence and antibiotic resistance of 15 minor staphylococcal species colonizing orthopedic implants Int J Artif Organs 2006; 29: 395-401.]. All these properties of S. caprae are certainly reasons for healthcare professionals to be concerned and keep vigilance. Therefore, early detection and accurate identification of this bacterium will help preventing serious complications that may result from the colonization and invasion of this skin flora. The authors would like to acknowledge Jennifer Clevinger, Clinical Microbiology Senior Technologist at Rockingham Memorial Hospital, for microbiological testing and data. Couto I, Pereira S, Miragaia M, Sanches IS, de Lencastre H. Identification of clinical staphylococcal isolates from humans by internal transcribed spacer PCR J Clin Microbiol 2001; 39: 3099-103. Ross TL, Fuss EP, Harrington SM, Cai M, Perl TM, Merz WG. Methicillin-resistant Staphylococcus caprae in a neonatal intensive care unit J Clin Microbiol 2005; 43: 363-7. Moroni P, Pisoni G, Antonini M, et al. Subclinical mastitis and antimicrobial susceptibility of Staphylococcus caprae and Staphylococcus epidermidis isolated from two Italian goat herds J Dairy Sci 2005; 88: 1694-704. Shuttleworth R, Behme RJ, McNabb A, Colby WD. Human isolates of Staphylococcus caprae: association with bone and joint infection J Clin Microbiol 1997; 35: 2537-41. Vandenesch F, Eykyn SJ, Bes M, Meugnier H, Fleurette J, Etienne J. Identification and ribotypes of Staphylococcus caprae isolates isolated as human pathogens and from goat milk J Clin Microbiol 1995; 33: 888-92. Kanda K, Suzuki E, Hiramatsu K, et al. Identification of a methicillin-resistant strain of Staphylococcus caprae from a human clinical specimen Antimicrob Agent Chemother 1991; 35: 174-6. Blanc V, Picaud J, Legros E, et al. Staphylococcus caprae infection after total hip replacement: a case and review Pathol Biol 1999; 47: 409-13. Takemura K, Takagi S, Baba T, Goto Y, Nonogi H. A 72 year-old man with recurrent sepsis due to Staphylococcus caprae J Cardiol 2000; 36: 269-71. Benedetti P, Pellizzer G, Furlan F, Nicolin R, Rassu M, Setfon A. Staphylococcus caprae meningitis following intraspinal device infection J Med Microbiol 2008; 57: 904-6. Kawamura Y, Hou X, Sultana F, et al. Distribution of Staphylococcus species among human clinical specimens and emended description of Staphylococcus caprae J Clin Microbiol 1998; 36: 2038-42. Allignet J, Aubert S, Dyke KG, El Solh N. Staphylococcus caprae strains carry determinants known to be involved in pathogenicity: a gene encoding an autolysin-binding fibronectin and the ica operon involved in biofilm formation Infect Immunol 2001; 69: 712-8. Arciola CR, Campoccia D, An YH, et al. Prevalence and antibiotic resistance of 15 minor staphylococcal species colonizing orthopedic implants Int J Artif Organs 2006; 29: 395-401.